Taunja Willis-Miller is Counsel in the Business Law and Health Care industry groups, focusing primarily on commercial lending. She practices out of the Firm’s office in Morgantown, West Virginia. Taunja has a broad-based business practice, where she represents hospitals and healthcare providers, 501(c)(3) organizations, and higher-education institutions in financial and business transactions, including tax-exempt financings. She has assisted in the transition of several health care facilities from public to private status and has been involved in many hospital financings throughout West Virginia. She regularly represents government entities in economic development initiatives and engages in commercial transactions including bank financings, the purchase and sale of assets, and low-income housing tax credits. As someone who’s never afraid to take the lead, Taunja has had several “firsts” in her career. She was the first female partner of Jackson Kelly and West Virginia’s first secretary of the Department of Health and Human Resources, where she oversaw one of the state’s largest agencies and was a member of the Governor Gaston Caperton’s cabinet. 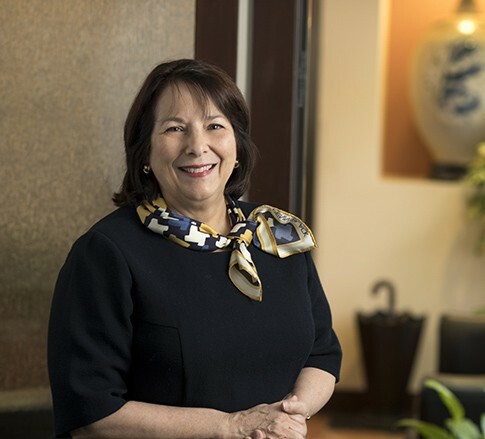 She is the former managing member of the Firm’s Bridgeport, Martinsburg, Morgantown, and Wheeling, West Virginia offices and was instrumental in the development and growth of the Firm’s presence in the northern part of the state. Taunja received both her undergraduate and law degrees from West Virginia University, where she earned academic honors and was a varsity cheerleader. She still enjoys cheering on WVU sports teams, now from the stands instead of the sidelines. She’s also a big admirer of West Virginia-oriented works of art. She is regularly included in The Best Lawyers in America®, has been ranked in Chambers USA, and was named a West Virginia "Super Woman" in West Virginia Living. "Physicians - Know and Understand Your Managed Care Contracts"
"Hospitals and Health Systems: Change in Ownership Issues/Implications - A Look at West Virginia Law"